Remember the movie "Office Space?" I love that movie, and I think about it every time I borrow my assistant's stapler (even though it's not red). Lately, I've also been thinking about it every time I go to a cafeteria near my office for a 32 oz. Diet Coke (which is nearly every day). You see, until a few months ago, a 32 oz. DC was $1.95 (including tax). But after new computerized cash registers were installed, the price went up to $1.96. I might not have noticed, but a DC that costs $1.96 rather than $1.95 means I get four pennies back from my two bucks instead of a nickel. This does not please me. I am more annoyed about getting four coins back instead of one than I am about the fact that the price is actually higher. Pennies clog up my wallet and can't be used in vending machines or at toll booths. Pennies annoy me. 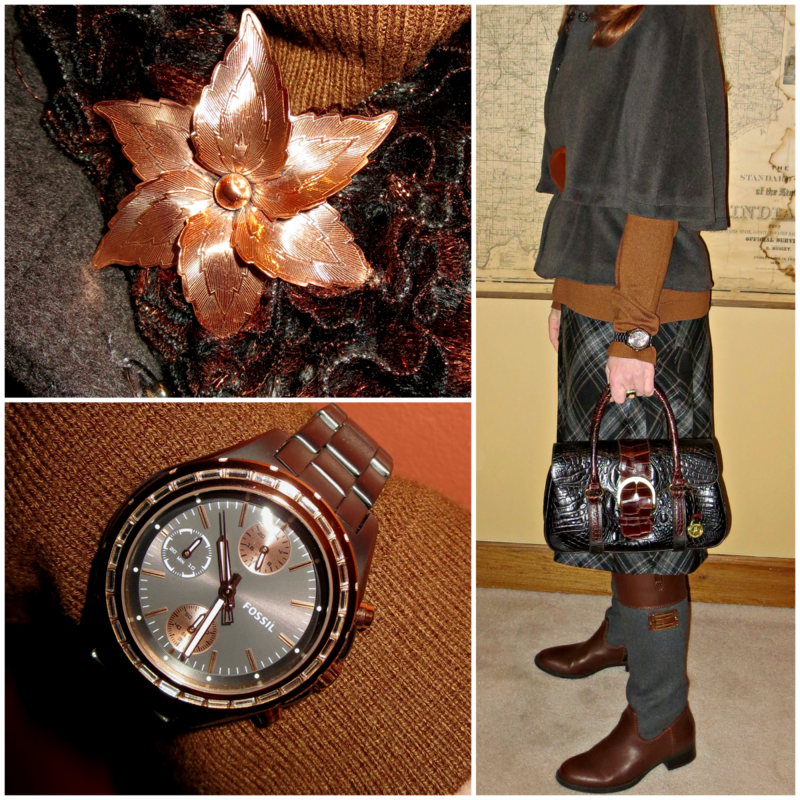 My grandmother's copper brooch adds a pop of brighter color and plays up the metallic threads that run through the scarf; the bag is Brahmin (and eBay purchase), and the boots are Tommy Hilfiger (from TJ Maxx); I found the matte grey and copper Fossil watch last fall in the men's department at Nordstrom Rack. The rose gold and crystal earrings are Nadri, from Nordstrom. I love Nadri because it's guaranteed for life. I lost a crystal from one of these earrings last year but I took them back to Nordstrom who sent them off to the company for repair. They came back looking brand new in less than two weeks. As much as I dislike pennies, I love copper. It's my favorite metallic hue. The copper accents in this ensemble are particularly precious to me (and they're much better than all that "flair" poor Jennifer Anniston had to wear in Office Space). The vintage copper brooch belonged to my Grandma Dorothy. The charcoal and cognac scarf it adorns has tiny copper threads running through it, and was hand-made for me by my mother. I love both pieces and built the whole outfit around them. 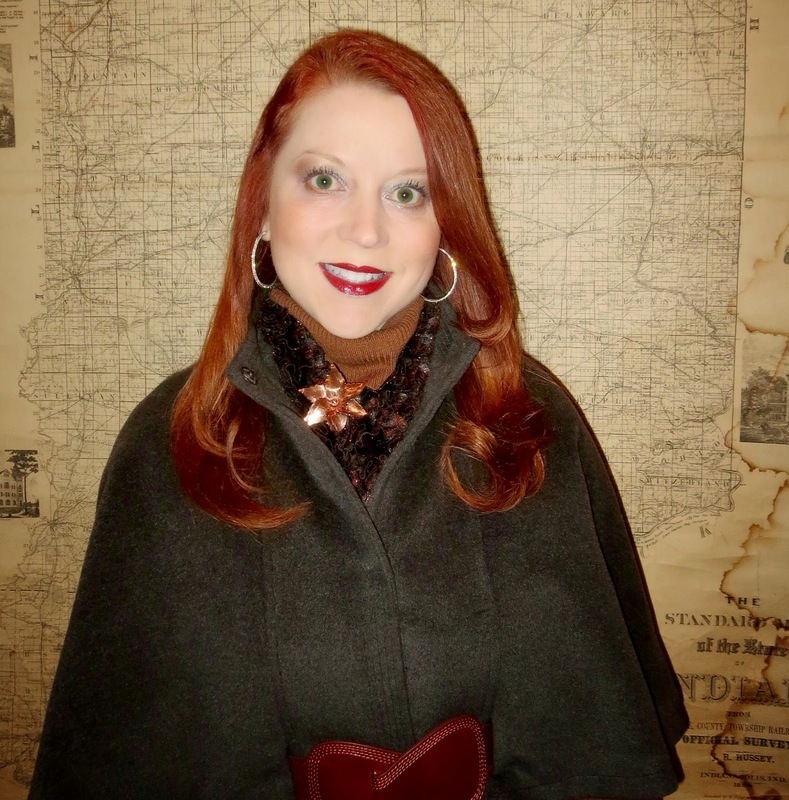 Before I received the scarf, I would never have thought to pair charcoal grey with copper and browns, but I'm thrilled with the combination and have married the two color families in other outfits, as well. See Mom - it's not just Grandma who inspires my wardrobe choices; you're a catalyst, too! I actually have two skirts in a similar color combo but slightly different lengths and fits. I'm not sure which I like best. 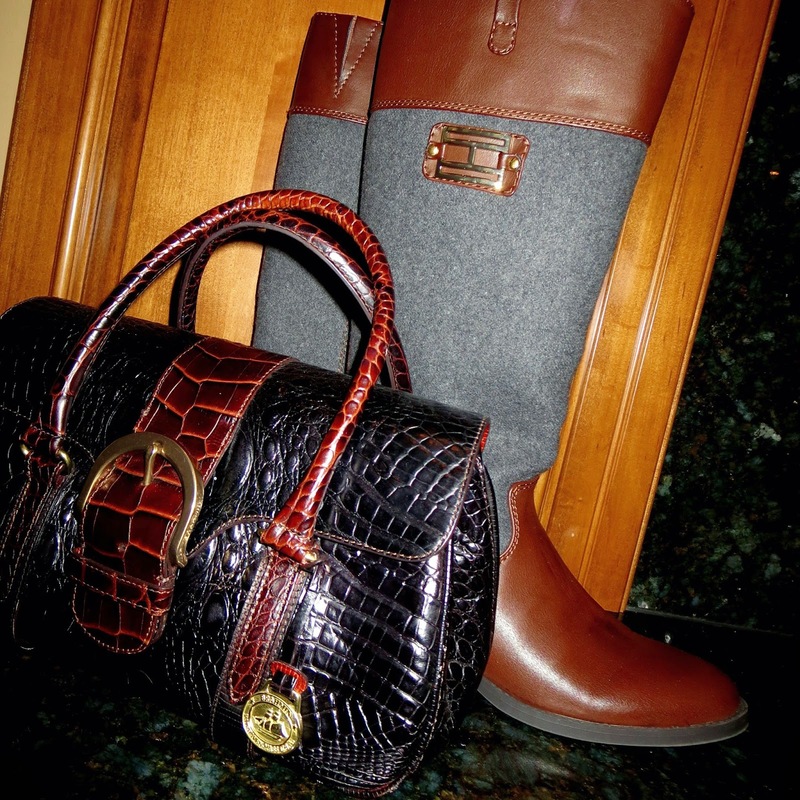 Fashion is what you do; Style is what you do with it! LOL! I feel your pain sister. I remember it was always a sad day when McDs summer pricing would end on my diet coke and it would go up to the "real" price. Ha! I never knew McD's had summer pricing, but those fountain DCs are delish!